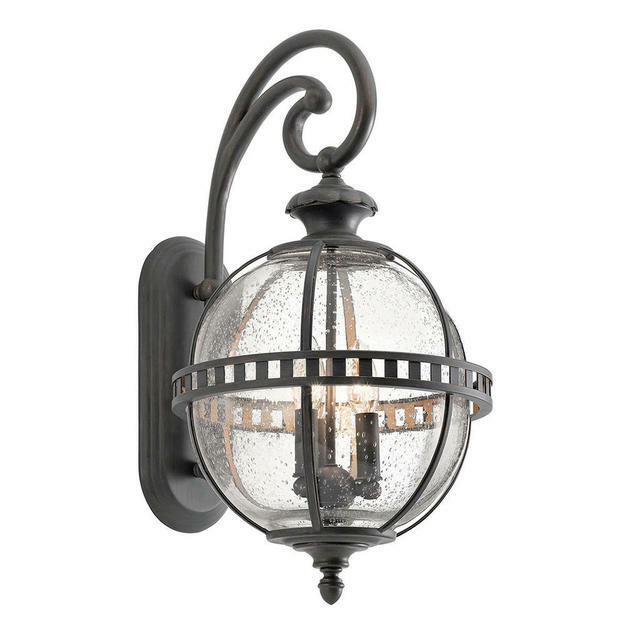 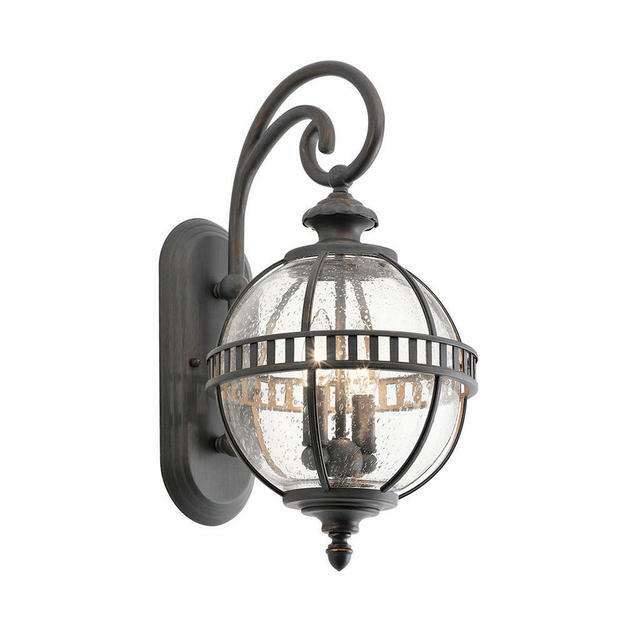 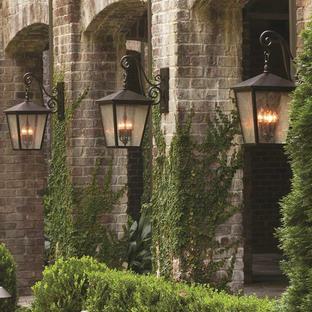 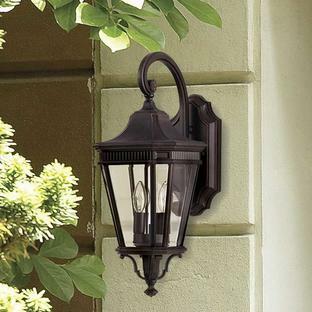 With a design reflecting inspiration from the Victorian era, these Halleron wall lights are a perfect fit for any outdoor space. 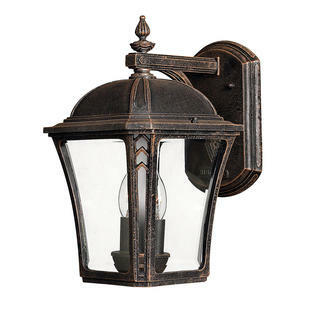 These Halleron wall lights have a bronze/brown finish in two different sizes. 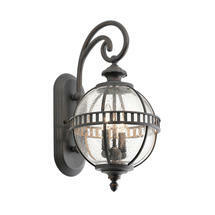 Also in this collection is a pedestal lantern, a hanging pendant light and a flush ceiling light.